Get your rock on with this one-of-a-kind experience to Liverpool and London on our British Invasion Tour! The knowledgeable Tundra Buggy driver / interpreter will make every effort to ensure you have the most favorable conditions to photograph the bears. Have you ever wondered why the Manitoba Legislative Building has sphinxes on the roof? Do you know the true identity of the Golden Boy? Experience the Culture of Churchill with this exclusive 4 Night tour lead by local guides. 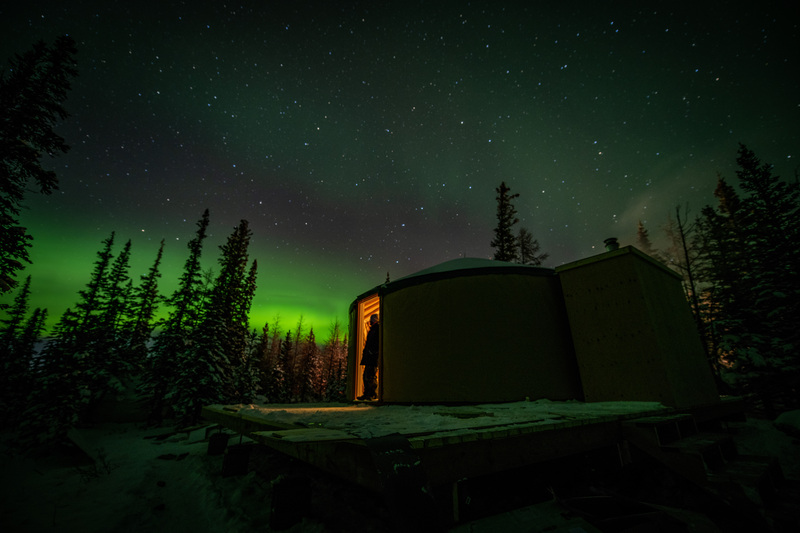 Nights Under Lights will give you some of the best chances at seeing the northern lights during your stay in Churchill, while staying cozy in our beautiful Mongolian yurt. Promoting and facilitating research and education that enhances our understanding and appreciation of natural, social, economic and cultural environments of the North while giving you a spectacular site to view the Northern Lights. Heartland Travel and SquarePeg Tours has partnered together to bring you two Ghost Bus Tours of Winnipeg. Try your hand at investigating or learn about the ghost stories associated with some of Winnipeg's most famous locations. Roll up for the Magical Musical History Tour! Join local music historian and author John Einarson as he guides you through the streets of Winnipeg on a very unique one-of-a-kind tour of the city's illustrious rock 'n' roll history. Join us as we tour throughout Winnipeg and see the many displays that keep us in the running for the Christmas capital of Canada! This "no frills" option is for those who simply want to view the polar bears of Churchill in the most economical way. These are well tours that combine viewing the polar bears with the opportunity to learn about the history and culture of the Churchill area and are led by very knowledgeable guides. With as many as 3,000 beluga whales sighted in a day, Churchill is one of the best places in the world to view these gentle mammals. A faint glow appears on the horizon. Slowly, soft curtains of color shimmer across the northern sky. The colors bend and weave and slowly begin to fade. You have just witnessed a display of awe-inspiring Aurora Borealis.